On July 31, 1970, Cynthia married Italian hotelier Roberto Bassanini, whom she'd first met in Italy in 1966, and had started dating after parting with Lennon, the couple divorced in 1973. Julian Lennon dedicated his album Photograph Smile to his beloved ex-stepfather. Cynthia married John Twist on May 1, 1976, when Julian was about 14. Cynthia was married to Twist when she wrote ''A Twist of Lennon''. They lived together in Ruthin, North Wales. The pair divorced in 1983. After her divorce from Twist, she changed her name back to Lennon by deed poll. Cynthia later met Liverpudlian Jim Christie, who was her partner for 17 years (from 1982 to 1999), living in Penrith, Cumbria. She said at the time: "Jim [Christie] has never felt he's living in John Lennon's shadow. He's four years younger than me and wasn't really part of that whole Beatles scene." They later lived on the Isle of Man (in Douglas) for some years, but broke up in 1999. Cynthia later married Noel Charles on June 7, 2002. Augusto Gregorini (Count Augusto Gregorini) is an Italian businessman (born c. 1937), industrialist, producer. He met his future wife, model and actress Barbara Bach in New York while she worked as a model and he was visiting from Italy for a business trip in 1966. 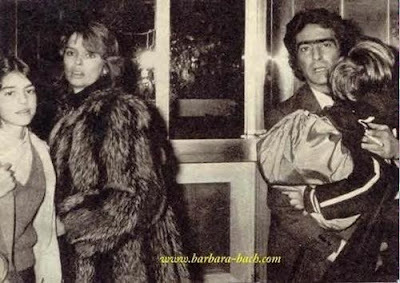 Barbara followed him to Italy to be with him. In 1968, when she was 18, they married. Bach moved with him to Rome where she soon adapted to a new way of living: "He was 10 years older than me and he was from a wonderful family…Living in another country for 10 years, speaking their language, I almost had a completely different identity." They had 2 children, Francesca (b. 7th August 1968) and Gianni Andrea (b. 1972). Gianni suffered from Cerebral Palsy. His wealthy father paid for a corrective operation in America, at the time the best treatment money could buy. 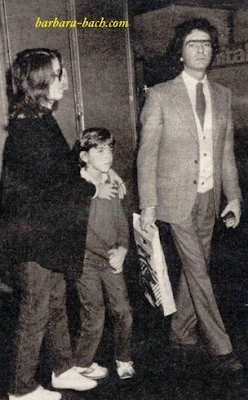 In 1975, Barbara and Augusto Gregorini separated when she moved to Los Angeles, California. The couple divorced in 1978, sharing custody of their 2 children. Barbara later married drummer Ringo Starr, whom she met on the set of their movie, Caveman. Francesca went on to date Portia de Rossi (who is now married to Ellen Degeneres). Anthony ''Tony'' Cox is a film producer and art promoter who was once married to Yoko Ono. Cox met Yoko Ono in 1961, after he saw some of her art work in an anthology and located her in Tokyo. The couple married on November 28, 1962. The marriage was annulled on March 1, 1963, but they re-married on June 6 of that year. Their daughter, Kyoko Chan Cox, was born August 8, 1963. Cox became a full-time caregiver for Kyoko, while both he and Ono continued with their art, collaborating as conceptual artists. The marriage fell apart some time after 1966, when Ono met John Lennon at an art show, and Cox and Ono divorced on February 2, 1969. After a legal battle, Ono was awarded permanent custody of Kyoko. However, in 1971 Cox, who had joined a religious group known as the Church of the Living Word or "The Walk" after his divorce from Ono, vanished with Kyoko in violation of the custody order. He left The Walk after a few years. In 1978, Cox and Kyoko stayed with the Jesus People USA commune in Chicago. He contacted Yoko Ono after the death of Lennon in 1980. Afterward, Yoko Ono agreed to no longer attempt to locate Kyoko. Kyoko eventually made contact with Ono in 1994. In 1985, Cox discussed his experiences with the Lennons, the Church of the Living Word (The Walk), and life on the run in an autobiographical documentary film entitled Vain Glory. Joseph Melville See Junior was born in New York in 1937. It is thought that he was the Jojo referred to on the Beatles single Get Back. He attended Princeton University where he studied geology and played on the varsity football team, and was a varsity harrier. He graduated in 1960 and went on to postgraduate work in geology and cultural anthropology at the University of Arizona. While at the University of Arizona, he met Linda McCartney (née Eastman) who was also a student. 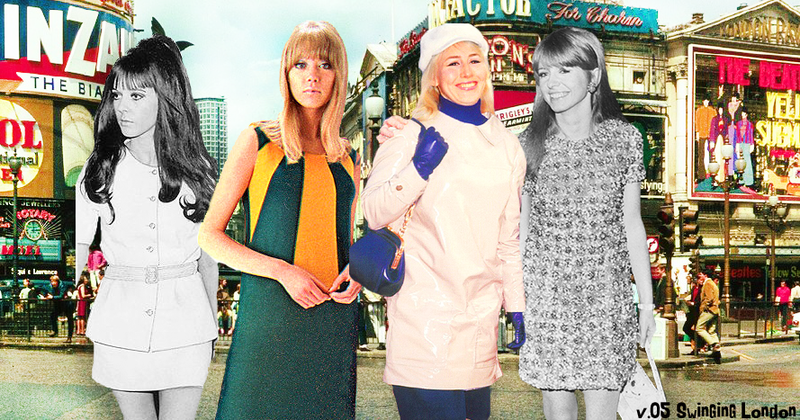 They married on June 18, 1962, and had a daughter, Heather Louise, but split in 1964 and divorced in June 1965. When Linda married Paul McCartney in 1969, he adopted Heather as his daughter. There was no animosity and he remained on good terms with the McCartney family. He was a respected ethnographer, documenting indigenous cultures around the world, and was a noted expert on pre-Columbian art. He is also credited with many contributions to the cultural life of Tucson. He committed suicide with a self-inflicted gunshot wound on March 19, 2000, at his home in Tucson. This happened one week after he discovered that Linda's entire estate, valued at over $220M was left to Paul McCartney.